Jobs-to-be-Done | It's more than just Milkshakes. Get the latest on Jobs-to-be-Done here. 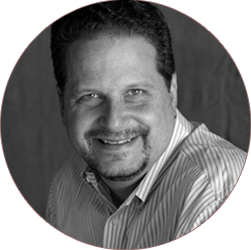 Bob Moesta recently appeared on the”Brand Labs Series Podcast”, hosted by Brian Walker and Natalie Pyles. On the show Bob gave an overview and background of the Jobs to be Done Framework and used it to explain how people shop and why people buy. You might remember Brian as the Mattress Interview Guy who was interviewed by Bob and I at a Switch Workshop at Basecamp’s Headquarters in Chicago. 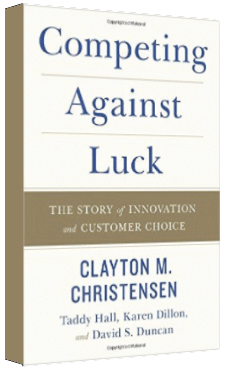 The Mattress Interview was featured on JTBD Radio and was later immortalized in Clayton Christensen’s book Competing Against Luck. A full overview of Bob’s appearance on the “Brand Labs Series Podcast”. Interviewing a consumer or decision-maker about a purchase that they’ve made is one step involved in uncovering Jobs-to-be-Done insights (if you’re new to the framework, check out this video on jobs-to-be-done basics). We ask some strange questions when we interview. To people overhearing the conversation the questions can sound way out-of-line or uncomfortable. To the person being interviewed the questions are straight-forward but require thinking, focus, and memory recall to answer. The questions have a specific purpose though: understand the causal factors that led up to the purchase, so we can use that information to make products that people want to buy. In this episode we dive into the sometimes controversial topic of how Jobs-to-be-Done and Personas complement or contradict each other with Claire Menke, the Senior Manager of UX Research at Udemy. Claire has deep experience with both frameworks, and after conducting a JTBD project and identifying the Jobs that users were hiring one of Udemy’s products to do, she worked hard to reconcile the newly uncovered Jobs-to-be-Done with the Personas that had been created and refined at Udemy over the years. UPDATE: Soon after the launch of this podcast episode, Claire wrote an in-depth article on Medium about how she combines Jobs-to-be-Done, Personas, and Customer Journey Maps to create a mix of insights that fuel different functions of Udemy. It’s definitely worth the read. Understand the basics of the JTBD framework: Why JTBD is important for your company and an explanation of the Forces of Progress and the Timeline. Have experienced a live JTBD interview: with an audience member who recently purchased a pre-owned Volkswagon Jetta. Seen a brief interview Debrief & Analysis: examining the interview through the lenses of the Timeline and the Forces of Progress. A simple explanation for those interested in the theory of Jobs to be done and how they can apply it to their products. 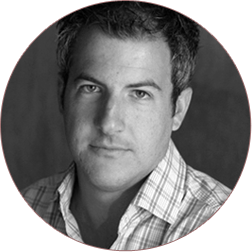 “Understanding a product’s actual job makes improving the product easier. 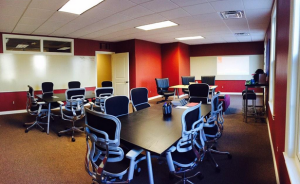 The Switch Workshop will be held in Detroit at the Madison Building on January 24th and 25th 2017! The event is limited to 40 people and tickets always go fast, so if you’re interested, register now. Want to go even deeper with your JTBD learning? Join us on Day 2 and participate in a quick, one day Jobs-to-be-Done project. We’ll put the JTBD tools to work and conduct a number of interviews focused on one product, then introduce some of the techniques that we use to analyze interviews and identify useful insights. Over the years we’ve worked to make Jobs-to-be-Done easier to learn and understand, but it can still be a complex idea to explain. If you’re struggling to convert a team member, this video of Sian detailing her journey will help. Still getting push-back after sharing her video? Leave a comment here and let us know what you’re up against and we’ll help in any way that we can.